Joel Matip began his footballing journey with spells at SC Weitmar 45 and hometown club VFL Bochum but was quickly snapped up by Schalke 04 with his talent already evident at a young age. While progressing through the Bundesliga side's junior ranks, his first introduction to professional football came with Schalke's second team in the German fourth division. And in November 2009, Matip made his debut for the first team in memorable fashion as he scored an equalising goal against Bayern Munich and was then named Man of the Match thanks to an assured performance. The German-born player went on to make 20 appearances in his debut season, featuring in a deep-lying midfield position. Following his early success, the Cameroon national team looked to make the most of the centre-back's eligibility for a call-up through his father. After months of deliberation, an 18-year-old Matip made his debut for his adopted country in a friendly clash with Italy. He then featured in the 2010 World Cup, before scoring in the tournament four years later against the hosts Brazil. The academy graduate went on to prove himself a versatile option for Schalke in the years after bursting onto the scene. As well as slotting in at full-back and pushing up into midfield when needed, the 2011-12 season saw Matip establish himself at the heart of the defence. He struck up a formidable partnership with Germany international Benedikt Howedes and has gone on to rack up over 200 appearances in all competitions. During his time at Schalke he has won two major honours, lifting the DFB-Pokal and DFL-Supercup in 2011. The 24-year-old enjoys defending on the front foot and never shies away from a tackle or battling with an attacker when needed. 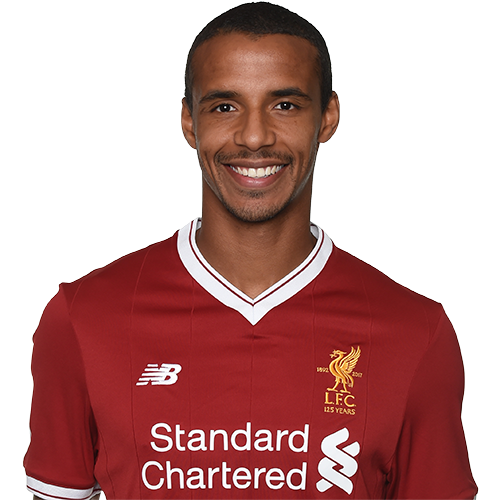 From his experiences in midfield, Matip is also comfortable and composed with the ball at his feet. At 6'4, blessed with pace and athleticism, Matip has the potential to become an all-purpose component in Jürgen Klopp's side.